Andys Telecom Centre. NOKIA 108 DS Mobile Phone....***PRICE REDUCED FROM €40 TO €35 FROM 14/6/15 AS LONG AS STOCKS LAST..!!!!! 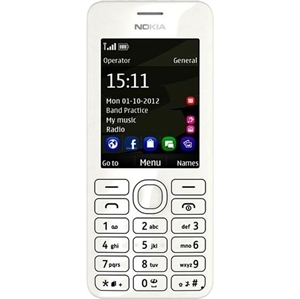 Top / Mobile Phones / NOKIA 108 DS Mobile Phone....***PRICE REDUCED FROM €40 TO €35 FROM 14/6/15 AS LONG AS STOCKS LAST..!!!!! A BASIC NOKIA WITH A CAMERA,DUAL SIM CARDS AND BLUETOOTH.